AstroSage Magazine: Astrology Will Get You A Job! Welcome to AstroSage's weekly newsletter. Today, we have brought you a very important topic. We all go through the rough patches as far as our career is concerned. Just lost a job; colleagues are not supportive; the boss doesn’t treat well; surrounded by people who always try to pull you down... There is no point cribbing if you are not working toward finding a solution. AstroSage will provide you that path, which will lead you out of that doom phase. Get an astrological report on your career which will let you know measures needed to be taken in order to improve your career graph in the next 12 months. It will act as your personal guide to lead to through the tough terrains of your career. The career report will be prepared by a learned and astrologer. 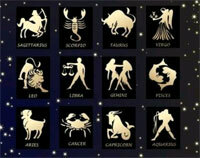 You can also choose an astrologer from our panel of astrologers. Government Job - Everybody’s Desire! Let’s now focus on one of the most important trouble of this time, that is, to get a government job. In spite of working with a good organization, many of us try to get a government job. If you wish to know if a government job is in your destiny or you want to add it, click here - Will I Get Government Job? Sometimes, we study hard, clear our student life with flying colors and get a good job. But, it doesn’t go that well as we had planned. It is because some professions just don’t suit us. 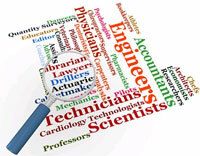 Do you want to know which profession will suit you the best? Click here - Which Stock/ Sector Will Suit Me? So, these are some from the AstroSage’s stock for Job Seekers. Let’s now shift our focus on predictions. 2013 Horoscope comprises your career predictions exclusively. These predictions are available on AstroSage for FREE! Utilize the best of this horoscope and plan your life beautifully. AstroSage keeps on updating the important events of each day. Stay tuned to AstroSage to stay updated. Apart from the regular stuff of astrology domain, the team of AstroSage thinks out-of-the-box to cover all the important events of the world including sports, politics, Bollywood, Hollywood, stock market and many more. Subscribe at AstroSage and become the part of renaissance in astrology world.